The AFL Premiers 2017 Victory Pack DVD box set also includes a feature length program specially commissioned and exclusive to DVD. 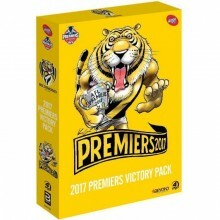 This is a must for all Richmond Tigers fans. 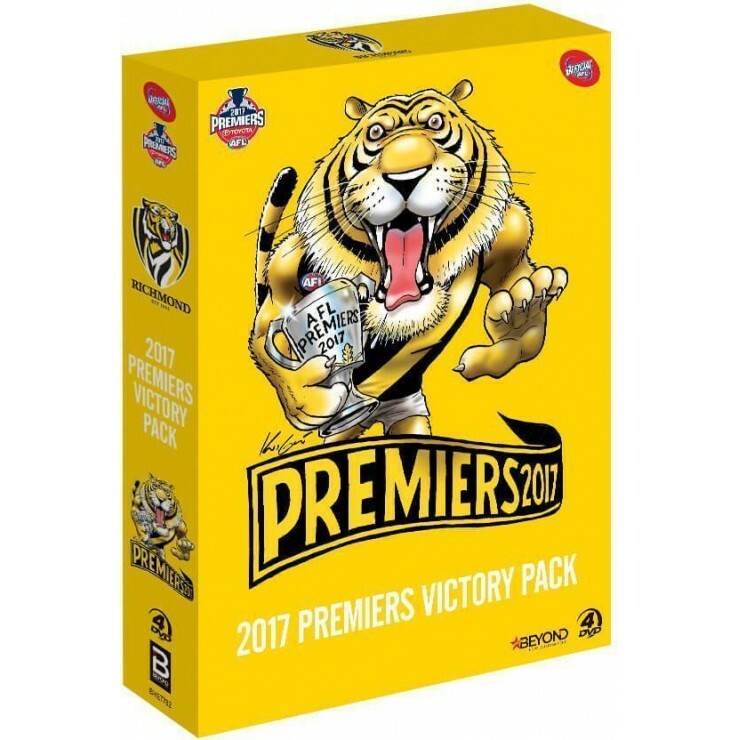 The 2017 AFL Premiers Victory Pack is the perfect collectable for every footy fan looking to celebrate Richmond's historic premiership. Featuring the 2017 Toyota AFL Grand Final and the winning club's Finals games in full, and the Official Premiers Highlights program, this beautifully-presented DVD set is a fitting tribute to the 2017 AFL Premiers' season of the Richmond Tigers. We watched all three finals matches at home - and totally enjoyed ourselves once the final siren went. Watching the Victory Pack we enjoyed every moment of the three matches and the special "Highlights disk", we laughed and we cried and believe me - they played even better on the second and third viewing - great value!! Click the button below to add the AFL PREMIERS - 2017 VICTORY PACK to your wish list.